Heat exchangers are the #1 cost driver in an OTEC plant. Thus improving their efficiency, reducing capital cost, and extending their life are critical to the economic success of OTEC. 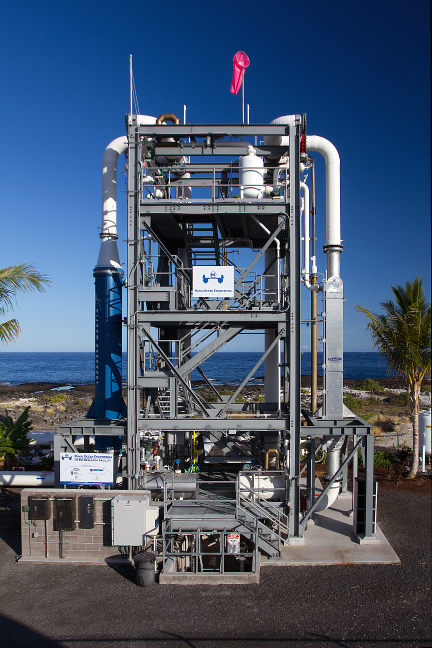 This presentation explores the success of various designs, past and present, including designs currently being tested at Makai’s OTEC Test Facility. Makai is in the procurement phase for a 100kW turbine to be operated at the OTEC Test Facility, which will make it the largest operational true OTEC plant in the world. Makai is the leading developer of numerical models to simulate the environmental effects of the discharge water from an OTEC plant. Makai’s biochemical model is being used to aid the agency responsible for OTEC regulation in the United States (NOAA).